Media have played an important role in framing the public debate on the “refugee crisis” that peaked in autumn of 2015. 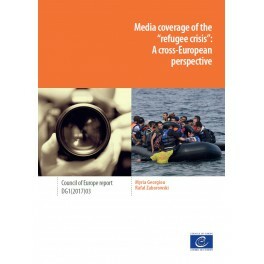 This report examines the narratives developed by print media in eight European countries and how they contributed to the public perception of the “crisis”, shifting from careful tolerance over the summer, to an outpouring of solidarity and humanitarianism in September 2015, and to a securitisation of the debate and a narrative of fear in November 2015. Overall, there has been limited opportunity in mainstream media coverage for refugees and migrants to give their views on events, and little attention paid to the individuals’ plight or the global and historical context of their displacement. Refugees and migrants are often portrayed as an undistinguishable group of anonymous and unskilled outsiders who are either vulnerable or dangerous. 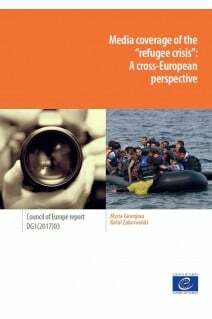 The dissemination of biased or ill-founded information contributes to perpetuating stereotypes and creating an unfavourable environment not only for the reception of refugees but also for the longer-term perspectives of societal integration.